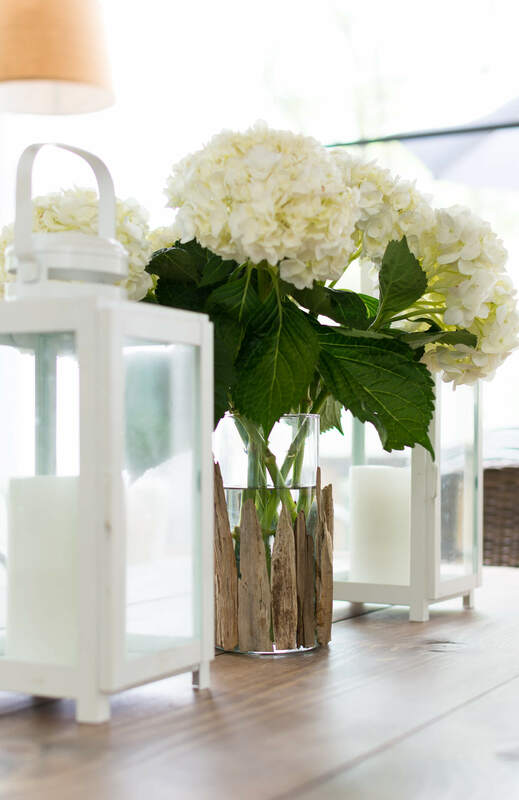 Driftwood is a gorgeous way to bring the outdoors into your home. The matte texture, warm colors, and rough edges provide a wonderful, rustic feel that’s both cozy and chic. Driftwood is a favorite interior design element because it’s so versatile. 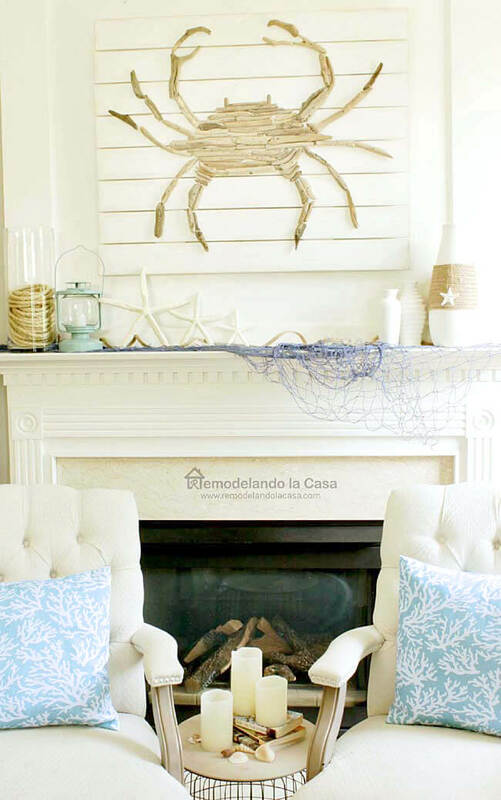 These DIY driftwood craft ideas would work in a minimalist modern home, a cozy eclectic space, or with a traditional nautical theme. These are 6 of our favorite DIY driftwood projects that you can do in an afternoon… seriously! Driftwood is a rough, uneven material so you don’t have to be precise with these crafts. In fact, with these projects the more uneven the better. Because you don’t have to be exact, these are great crafting projects for beginners as well. These driftwood craft ideas also don’t require many materials so now grab yourself a glass of wine and let’s get crafty! This is fantastic because it’s so darn simple. You can use any cylindrical vase for this. Clear glass is a classic, but it would also look amazing with turquoise or cobalt sea glass! The contrast of the driftwood, the soft flowers, and the bright green stems is absolutely stunning. Driftwood doesn’t have to be a nautical theme, but when it is don’t be afraid to have some fun with it! This is a playful, whimsical idea that doesn’t sacrifice elegance (which is a tough line to walk). A piece like this would look just as good above a mantel in a living room or on the wall in a kids room. If you’re like us, you love the look of wind chimes but after a while, the sound can drive you a little crazy. This is the perfect solution. 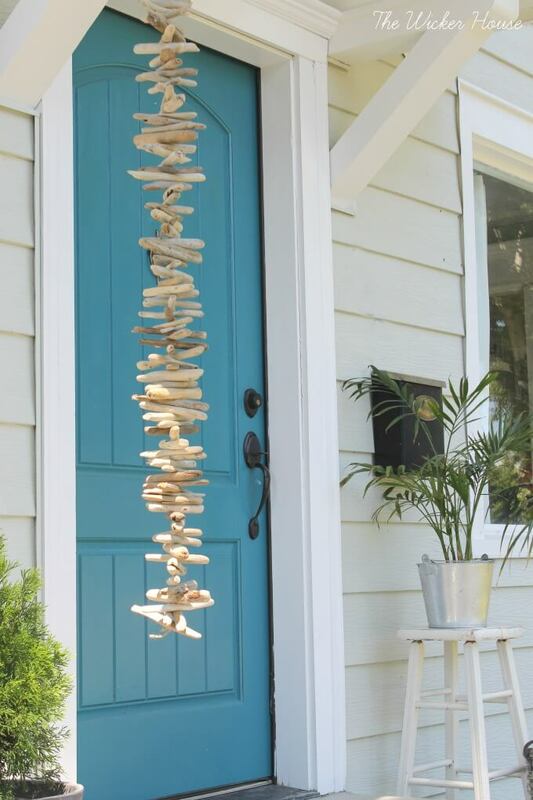 The mini “stack” of driftwood sways in the breeze without making a sound. It’s a really lovely idea for a porch decoration, or even for an indoor arrangement! This project would be really fun to do with kids. It’s colorful and eclectic and a little bohemian! You can use many colors like they did here, or stick to a palette that matches your decor. If you like this look you could even scale it up with larger sections of driftwood for more of a statement piece of art. 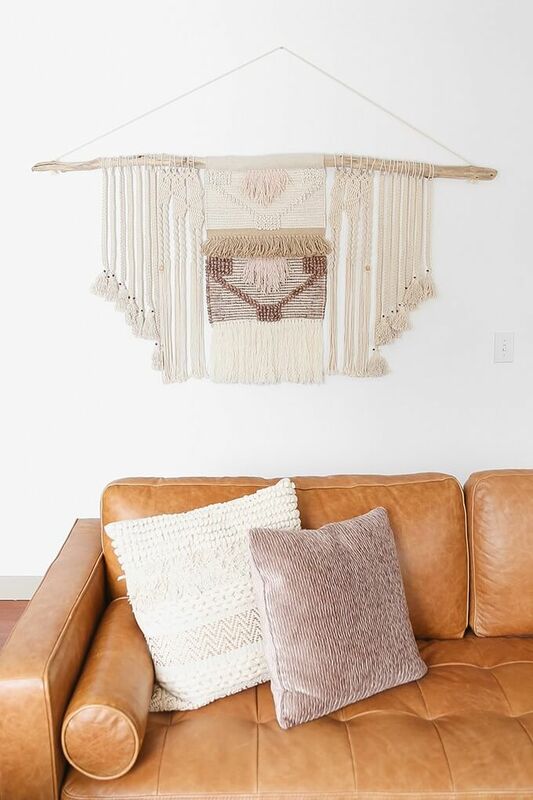 As DIY driftwood craft ideas go this one takes a little more skills, but you don’t have to limit yourself to macrame. 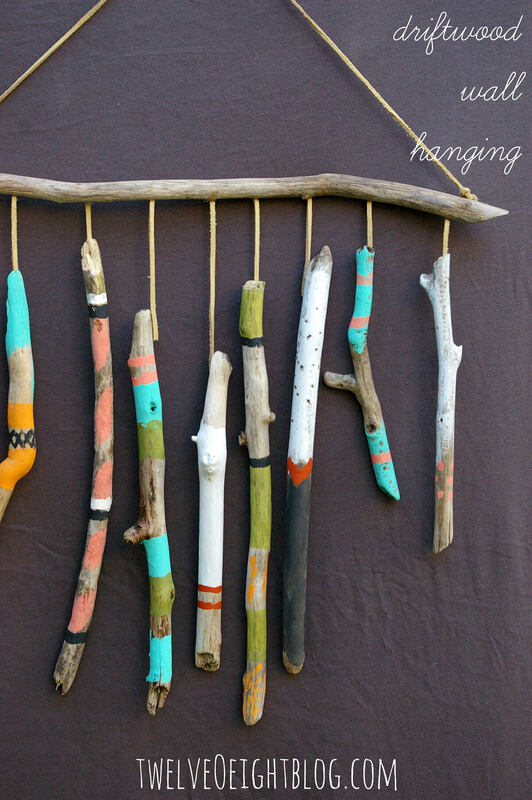 You could also use this idea to hang tribal print fabric, or a woven rug…get creative! The point is that you don’t have to “hide” where your wall art hangs. You can put up a big piece of driftwood using wall mounts and let the other pieces hang from it.